Mobile app development is an extremely competitive industry, due to the fact, nowadays every business needs a perfect mobile app to remain successful. Here at 2muchcoffee, we stand out from the crowds of web and app development companies by imparting excellence in every project we do. We dig deep to develop robust solutions. Moreover, to ensure that we are recognized as a leading provider in the IT industry, we joined Clutch, B2B online ratings and reviews platform based in Washington, D.C. Moreover, we are proud to provide exact proves of our high-level tech expertise through open-source contribution. Our project NGX-restangular got over 670 stars on GitHub as well as thousands of MVP and start-ups used it in their Angular 2/4/5/6/7 based projects. The combination of the high-level tech skills with a clear understanding of business needs helps us to deliver the best products to the market in the shortest terms. Making decisions on core technology is one of the most significant solutions that every executive person has to make. It settles how fast you launch your mobile app, what costs you face and whether the maintenance is sharp enoug. Taking that into account, here comes the solution - cross-platform (CP) development with its' pros and cons. Pros of CP: faster app development, reusable code, reduced development costs, greater market reach, simplicity, etc. Cons of CP: vendor lock-in, integration problems, lack of updates, etc. It should be evident that cross-platform mobile development requires more attention to the architect role in the team and our team can handle every single challenge and deliver the best practice. Looking into the future of hybrid mobile app development 2muchcoffee team made both React Native and Ionic frameworks the core technologies of our company. Ionic is one of the widely popular frames to build feature-rich and successful apps. React Native enables developers to create enhanced and native-like apps using a single code base. Both of them are perfect for making the apps with the only difference React Native is ideal for native-feeling apps which may cost you higher than the Ionic. Firebase and AWS Amplify are the best serverless back-end practices that we chose. If your situation requests for a more experienced service that has an entire suite of services at your beck and call, AWS should suit your needs. If you are running an MVP and need to set stuff up quickly, Firebase could serve you well (but you’ll need to monitor your serverless setup). Having experience with both these practices, we are here to help you. Clutch supplies prospective buyers with information, reviews, and ratings that are useful for them when choosing a service provider. They rank companies according to their social media presence, industry expertise, media recognition and awards, as well as case studies of their former client projects. Amongst all of these factors in Clutch’s rigorous scoring process, we’re proud to say we’ve been recognized amongst the leading app development companies in Ukraine in their 2019 research. We love serving our clients and bring their ideas into reality, so we’re delighted to hear that they enjoy working with us, too. Clutch also has two sister websites, The Manifest and Visual Objects, and our high ratings on *Clutch have qualified 2muchcoffee* to be featured on both of them. The Manifest is a resource that offers industry insights, how-to-guides, and recommendations of top service providers like ourselves. We appear on their list of the top UX designers in Ukraine. Visual Object is a new platform that equips buyers with a digital portfolio of B2B companies’ past projects to aid buying decisions. Our Portfolio qualified for their list of the best mobile app development companies in 2019. Mobile app development has a long and solid history, and we hope to make an input to this history and achieve new technological heights on behalf of our clients. 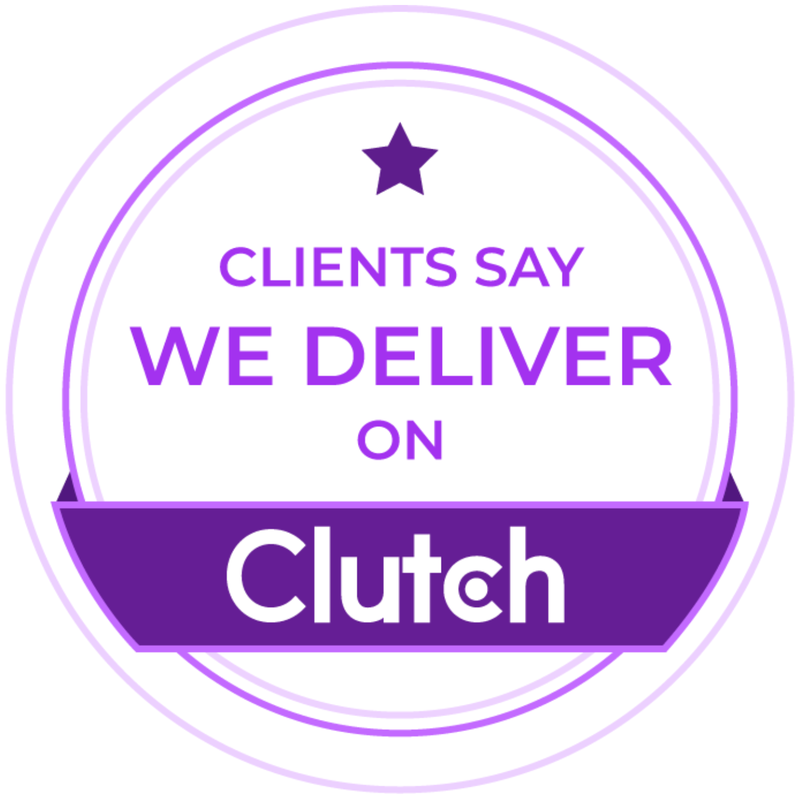 We thank Clutch for these recognitions, our former clients for giving their reviews of our work, and all those who have helped our company to grow. With the dawn of the new year, we’re now motivated than ever before to continue delivering the best technological solutions to new and returning clients. Need quality Full-Stack development team? Do not hesitate to contact us and discuss your brilliant idea!